Capture your audience with style. When you need to add great looking graphics package to complement the full potential of your piece, choose Epicenter. Epicenter is a complete theme and template that behaves like a plugin, thanks to the multiple options, multiple elements and multiple palettes it provides. Epicenter is available for Final Cut Pro X, and it is without a doubt a clean and dynamic design that you must add to your collection, making it the perfect tool to grab your audience's attention with grace and style. Epicenter is a Broadcast Design theme. Epicenter includes a set of 19 elements to enhance the look and feel of your project, ranging from animated title elements and special transitions, to lower thirds, chapter titles and specific broadcast elements. This package is a "must-have" if you are serious about the presentation of your image, be it for broadcast distribution or for commercial work. Epicenter offers several elements to choose from, plus an array of parameters to help you customize the look and style of your piece virtually without limitation. elements at your disposal ! Try out several looks... or a different color palette... or maybe choose from the styles of animation already integrated in each of the elements. 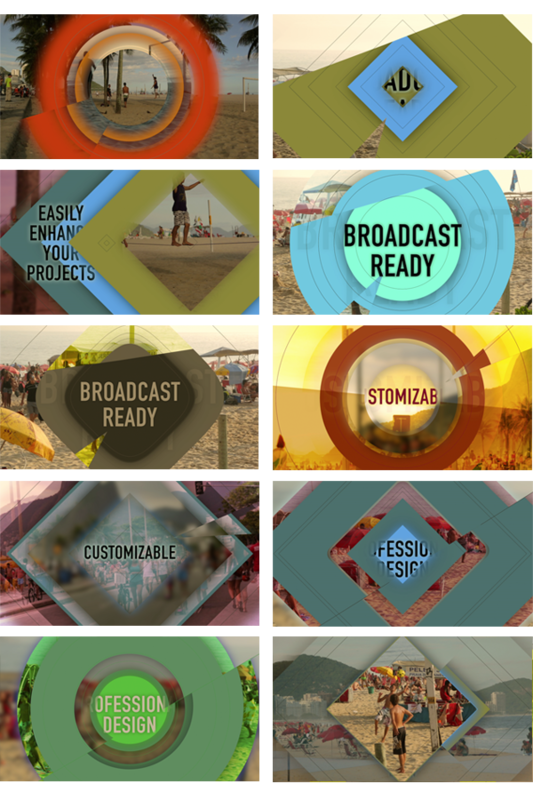 You can even customize the video content of your transitions! With this amount of customization, is like having hundreds of elements at your disposal! The Epicenter elements have been developed as Effects that you can apply to your footage or use with the included Adjustment Layer, and by being an effect, you can easily save your own custom Presets by using the built-in Final Cut Pro X functionality to create them. Simply tweak the element of your choice until satisfied with the look, style and palette, and when ready press the "Save Effects Preset" at the bottom of the Inspector window to save your custom setup. – 9 Broadcast Designed elements (including lower thirds), 9 Transition elements and one Adjustment Layer. – 20 built-in color palettes. – Most elements have 3 animation styles to choose from. – Customizable lines with curvature and width options. – Custom video-pin content available to most transitions. – Preset Saving available on the effect elements. – Adjustment Layer for easier application of elements. 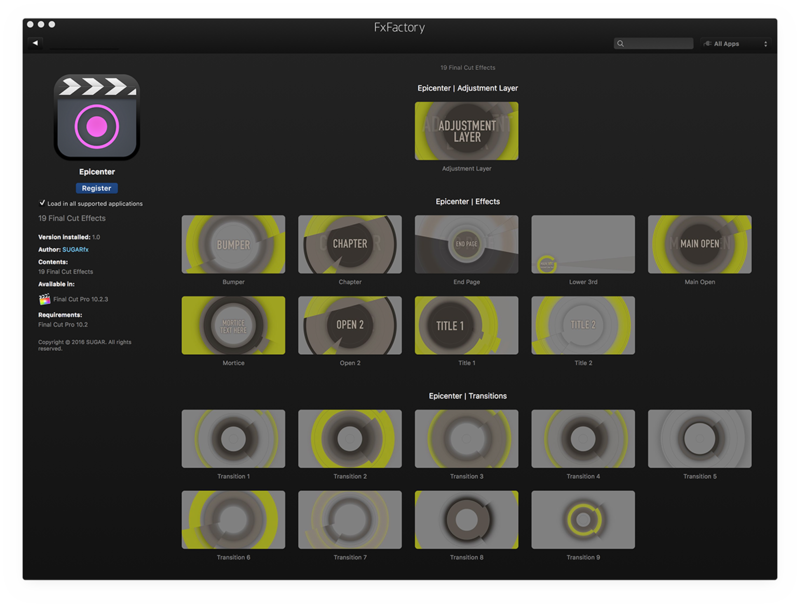 SUGARfx Epicenter is powered by the FxFactory engine, and if you have installed the latest version of the free FxFactory, Epicenter should be available in the SUGARfx product section where you can click and install automatically.